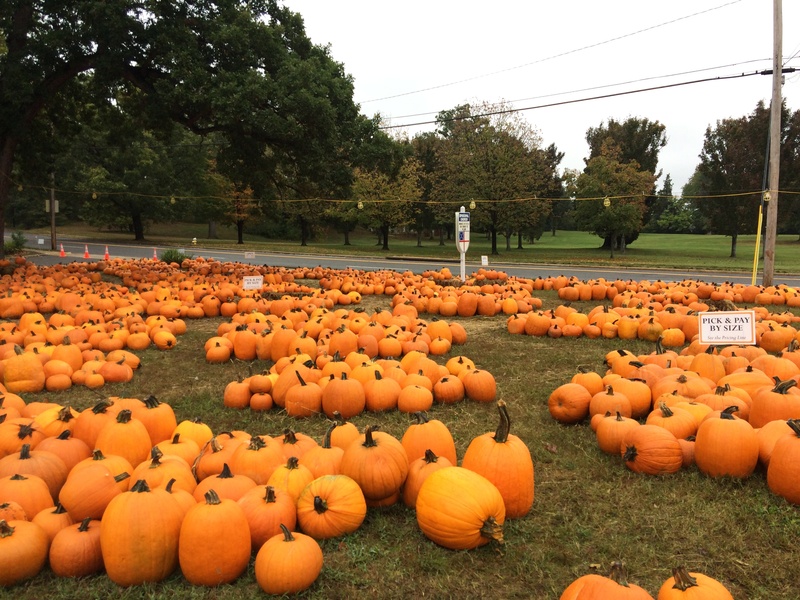 This weekend Sean and I went pumpkin picking! 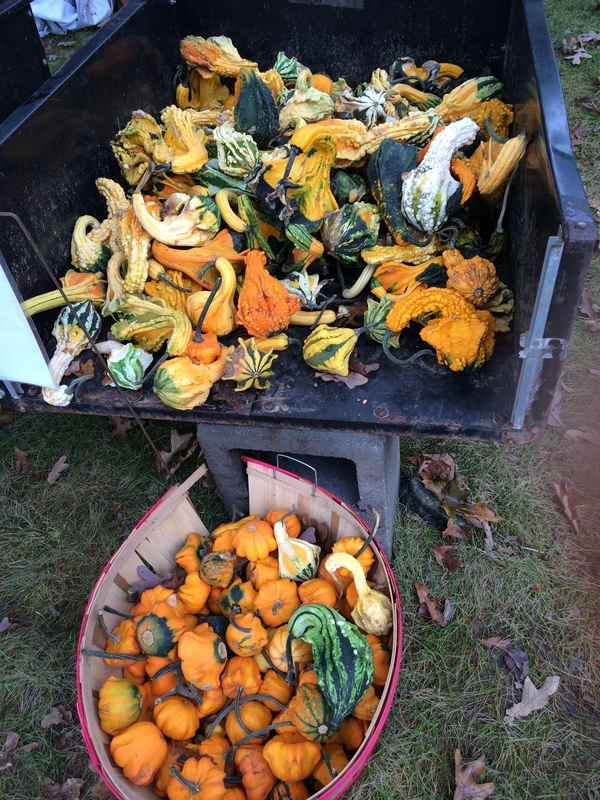 I didn’t want to go all the way to a farm for pumpkins this year. 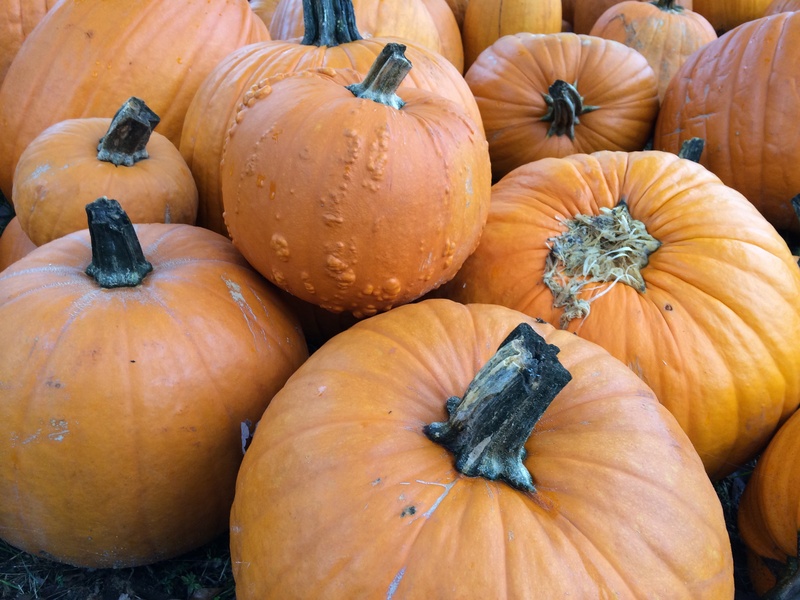 Luckily we found a local church that hosts an annual pumpkin festival and picked out pumpkins there. 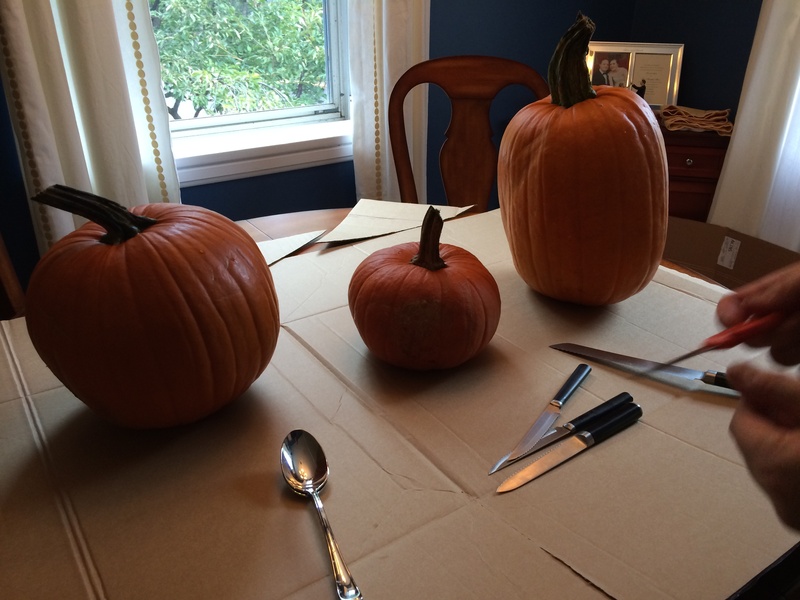 Initially I didn’t plan to carve that small pumpkin in the center. I thought I could display it as is either on our dining room table or a side table. 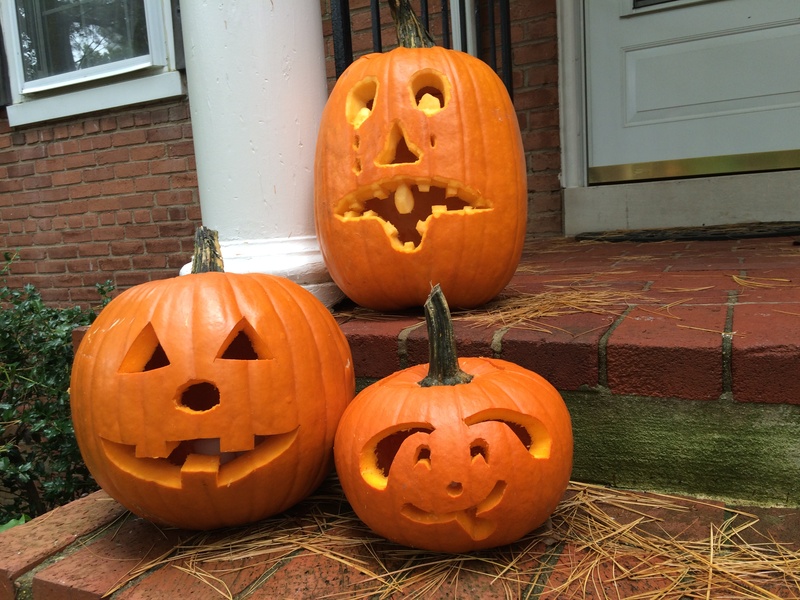 Then I realized we could carve our family in pumpkins! So the small one became Aiden’s pumpkin. 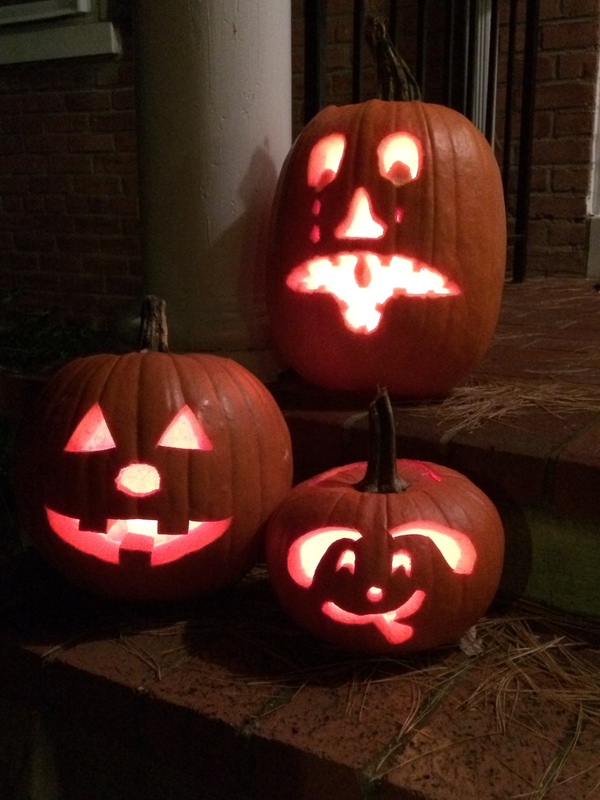 Our family as pumpkins! Sort of. I’m not sure why Sean’s is crying because he’s not a sad guy. His pumpkin is also yelling and Sean’s not angry. 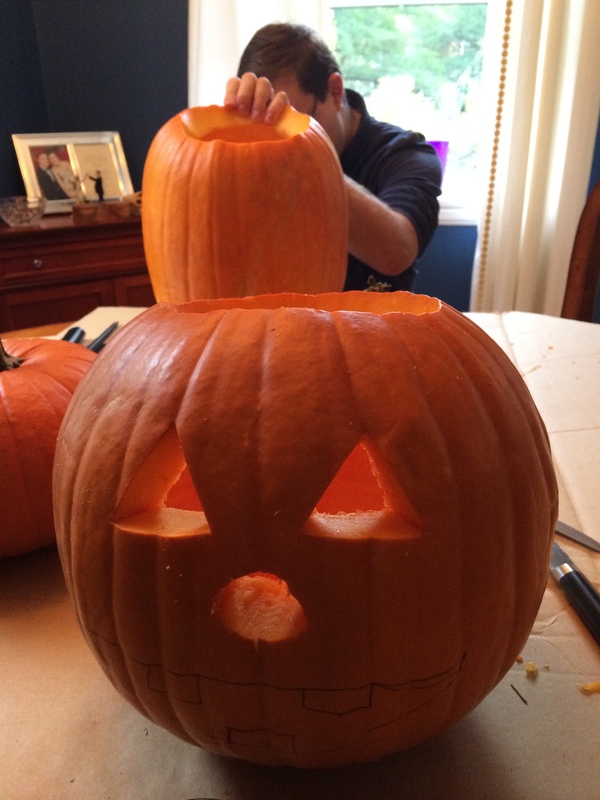 Such an emotional pumpkin, but at least with great detailing and depth! I’m so happy fall is here! This entry was posted in crafts & projects, weekend by Sarah. Bookmark the permalink.